You can have your roses and chocolates, and your cheesy Hallmark cards, too. 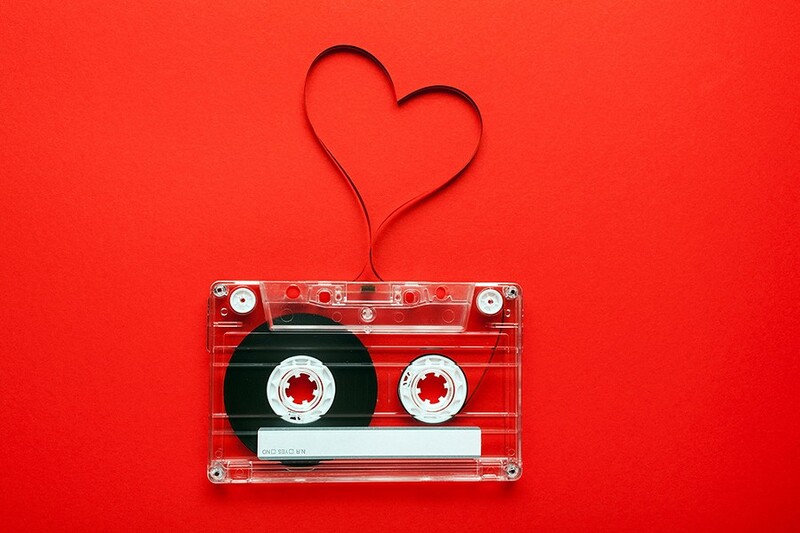 When it comes to expressing affection at Valentine’s Day, the best way, in our humble opinion, is through that time-honored tradition, the mixtape. There is just no better way to say “I love you” than with a carefully curated selection of songs made just for someone special. And since you, faithful Seven Days readers, are the collective apple of our eye, we’ve put together a playlist to say exactly that. The following has been culled from Vermont-made music released in the last year or so. We hope you like it, because we really like you. Since we're dealing primarily with love songs, there are plenty of opportunities to get all sweet and sappy. So let's start with something upbeat. Because what good is love if it's not fun? Few local bands are as much fun as the ever-danceable Madaila. Plus, this song's hook, "I don't wanna live without cha," fulfills the requisite warm-fuzzies quotient. We could choose any song from Maryse Smith's excellent 2015 record, The Way It Is, for this mix. Almost all of them can make you cry and smile at the same time. But album closer "Hold Me" is sweet and sad in the most delightful way, gripping the listener as tenderly as Smith yearns to be. If you need proof that love really is the international language, look no further than deux visions, the 2015 album by Francesca Blanchard. The bilingual singer gets her point across in whatever language she sings. And you don't need to be conversant in French to get the gentle, affectionate gist of the duet "Mon ange," which translates to "my angel." After a couple of mellow numbers, it's a good idea to pick things up a bit. "Burn It Down, Bernadette" does just that, with hooks and changes on loan from Elvis Costello. Michael Chorney & Hollar General, "Moline"
A song doesn't have to be explicitly about love to make you swoon. Take Michael Chorney & Hollar General's "Moline," for example. The lead track from the band's 2015 album Shameless Light is pretty and mysterious, evoking a sense of carefree wanderlust. And wandering is always better when you've got a good copilot. Hot Box Honey, "Papaya Lover"
By the time V-Day rolls around, our hearts can be as frozen as the ground. Heat things up a bit with the playful Caribbean vibes of "Papaya Lover" by Hot Box Honey. Relax, cut loose and, as the song advises, "Love will come to you." Sometimes, anticipation can be the sweetest part of being in love. "Sound Island" by Vows captures that feeling of stomach butterflies with fluttering synths and guitars and layered harmonies that swoon like ... well, like you're doing right now, probably. Eric George, "End of the Day"
"I wanted to write you something beautiful / I wanted to write you into my life," sings Eric George on the opening line of "End of the Day." The song is a humble, heartfelt appreciation for having someone to come home to. The scruffy songwriter hits home on the song's emotional apex, singing, "Come find me at the end of the day." Eastern Mountain Time, "All We Need"
Continuing on a theme, home is where the heart is. "All We Need" by Eastern Mountain Time is a lovelorn twist on that notion. The twangy tune is about keeping the home fires burning for a restless lover, no matter how far he or she might roam. It's a little sad, but ever hopeful. The Leatherbound Books, "Watch a Pot Boil"
"Watch a Pot Boil" is a lively little ditty about loving someone in spite of their flaws, even if reluctantly. This cheeky duet evokes the greatest of cheeky duets on that very subject, "In Spite of Ourselves," by John Prine and Iris DeMent. That ain't a bad thing. Cricket Blue, "Oh My Rose"
We're just gonna say it: "Oh My Rose" is the prettiest song on this mix. Hell, it might be the prettiest song on any mix. It's sweet and sad, colored with melancholy harmonies that sound something like if Sufjan Stevens and Jolie Holland were to do a duet of British Isles folk ballads. If your heart doesn't melt at least twice during this song, better check your pulse. Audrey Bernstein, "Our Love Is Easy"
A true Valentine's Day mixtape is incomplete without at least one jazzy torch song. So we close ours with one sung by local chanteuse Audrey Bernstein. Her sultry take on Melody Gardot's "Our Love Is Easy" is smooth and sensuous, the sonic equivalent of red wine and chocolate. The original print version of this article was headlined "Songs for You"